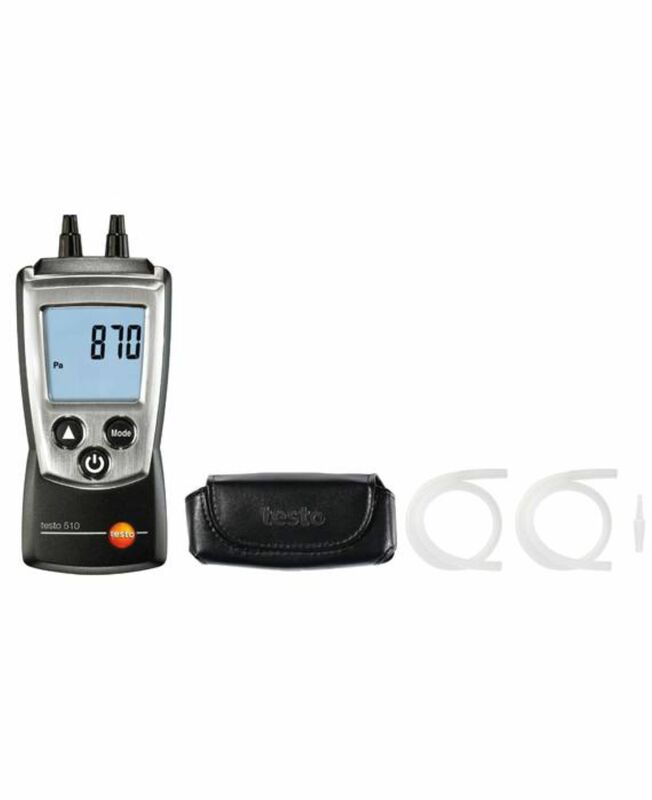 Ideal kit for IAQ professionals, with a focus on air flow measurement. 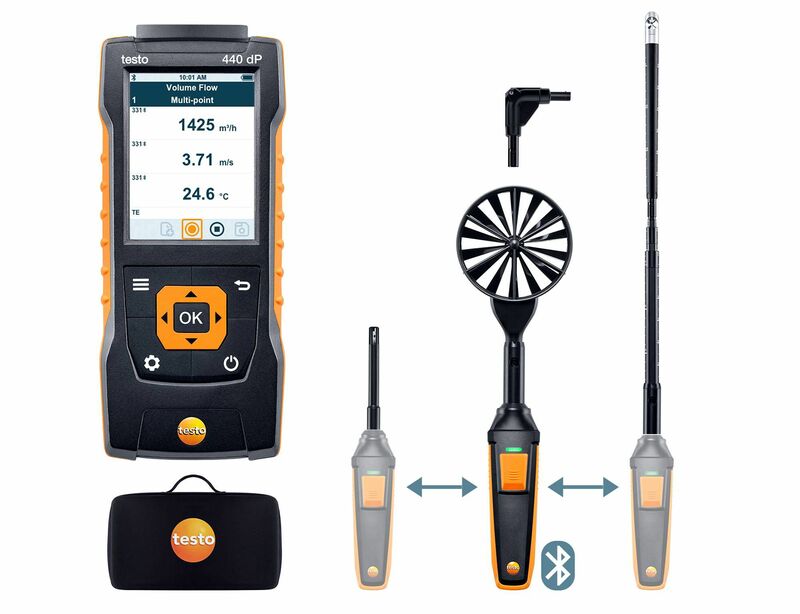 You will receive the testo 400 universal IAQ measuring instrument with intuitive measurement menus, one vane probe head (Ø 16 mm), one vane probe head (Ø 100 mm) and one high-precision humidity/temperature probe head – all three can be attached to the Bluetooth® handle supplied. 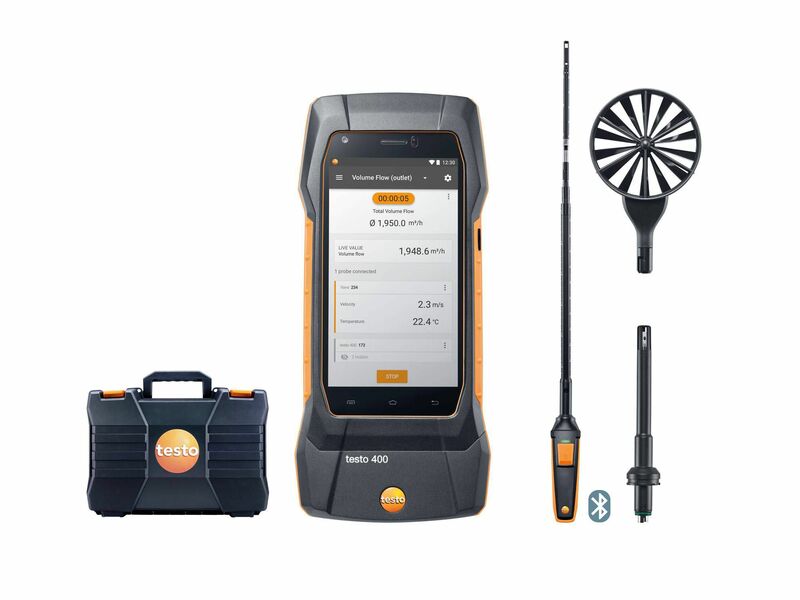 For measurements at ceiling outlets, simply combine the 100 mm vane probe with the telescope (can be extended up to 1.0 m) and the 90° angle. 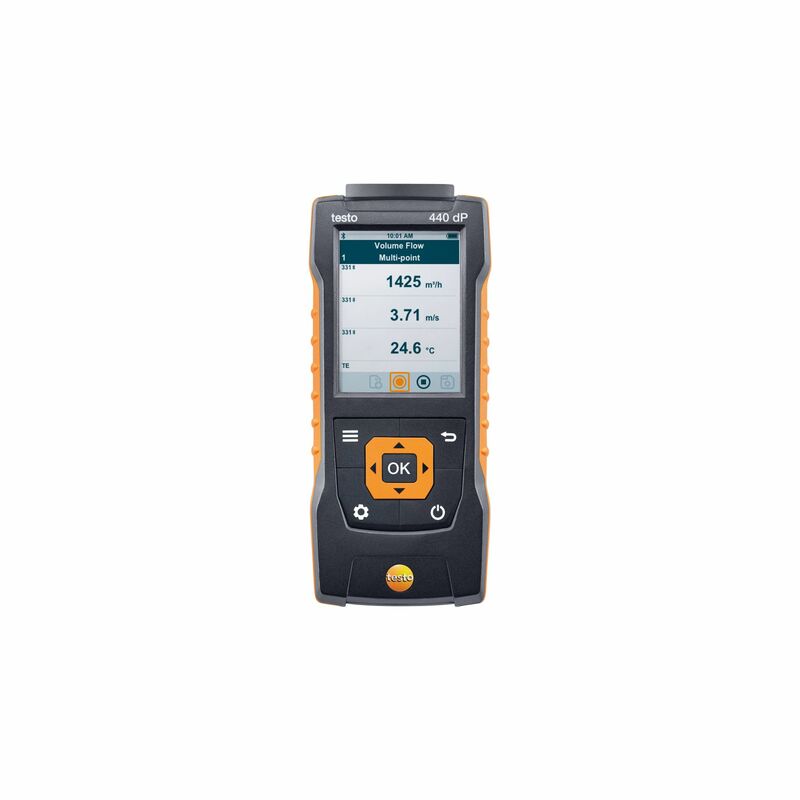 Ideal kit for IAQ professionals, with a focus on air flow measurement. 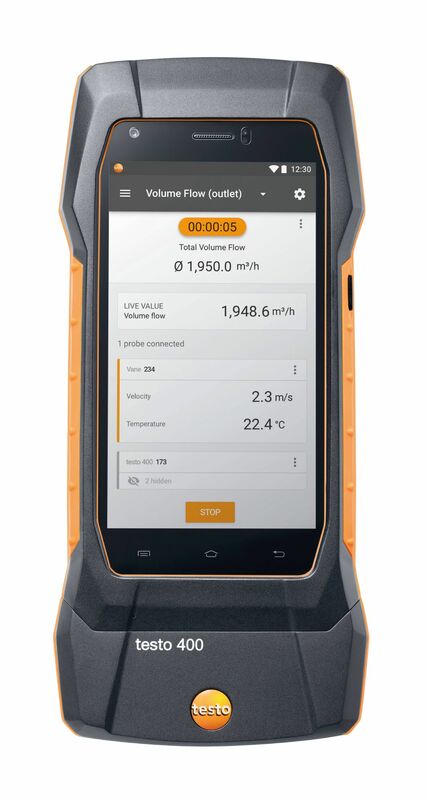 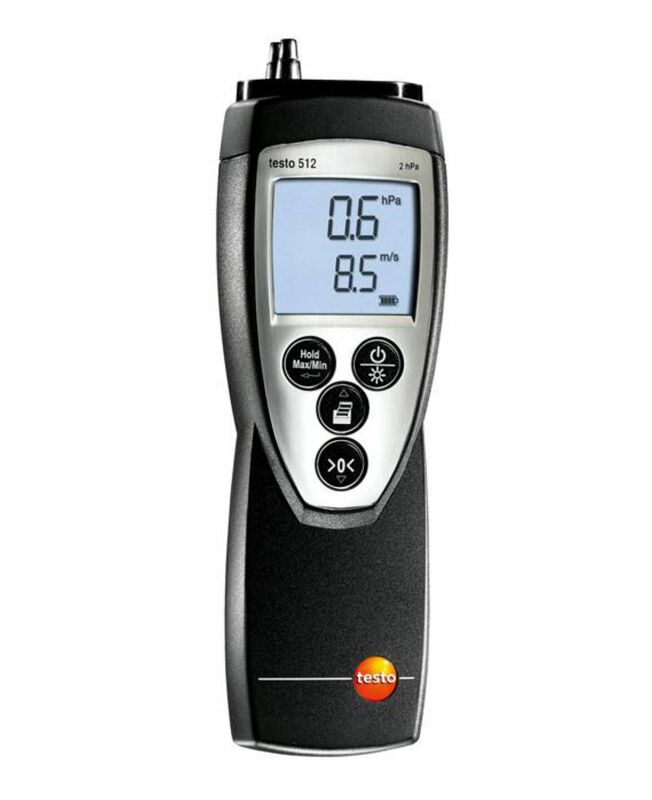 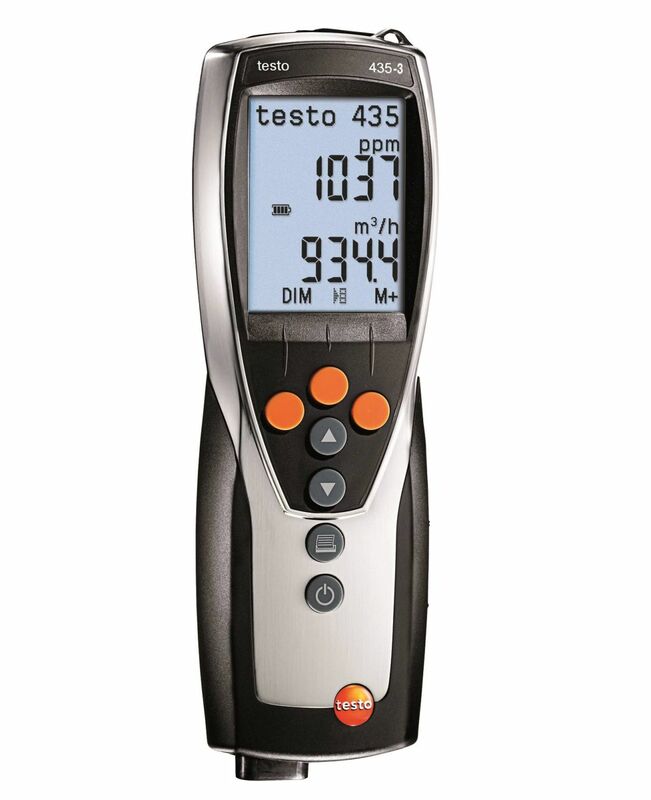 You will receive the testo 400 universal IAQ measuring instrument with intuitive measurement menus, one hot wire probe head (including temperature and humidity sensor), one vane probe head (Ø 100 mm) and one high-precision humidity/temperature probe head – all three can be attached to the Bluetooth® handle supplied. 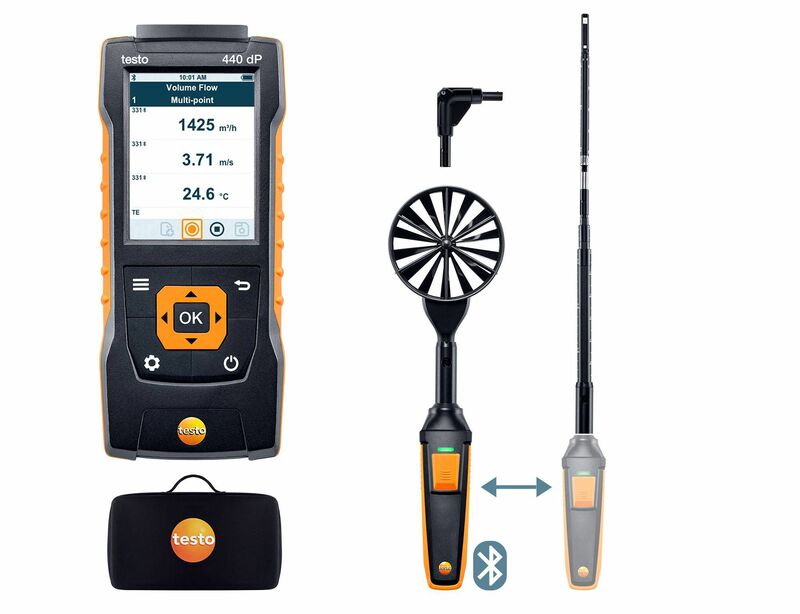 For measurements at ceiling outlets, simply combine the 100 mm vane probe with the telescope (can be extended up to 1.0 m) and the 90° angle.